Like it or love it, Kalado has so far proven that he is indeed the fastest rising act for 2014. Sealing a slew of hit singles – including the # 1 one song, “Personally” – with a string of memorable performances both locally and overseas, it is obvious that this is a deejay who is definitely on the rise. Having performed in the Caribbean and the continents of North and South America, the “Good Good” singer is rising to the challenge of taking on another continent – Africa, the Motherland. Kalado will make his Africa debut on September 13, when he headlines a concert in the Zimbabwean capital, Harare, in what is anticipated to be a mega affair. “We all know that Jamaicans have a special relationship with Zimbabwe, musically. Ever since the great Bob Marley wrote the epic tune “Zimbabwe” and was invited to perform at their independence celebrations in 1980, it has become like a rite of passage for all reggae/dancehall artistes to visit Zimbabwe. Therefore, it is a special honour for me to be touching down on Zimbabwean soil and to be actually headlining a concert there,” Kalado said. The event, which will also feature a number of African artistes, took its name from one of Kalado’s most popular songs in Zimbabwe, “Make Me Feel” . Fans will be treated to Jamaica’s newest dancehall sensation giving them not only dancehall music but a touch of Afro beat with his latest hit “Personally” As Kalado noted, “I will be giving my fans one full hour of high energy; good songs, great performance, dancing and lots of surprises. 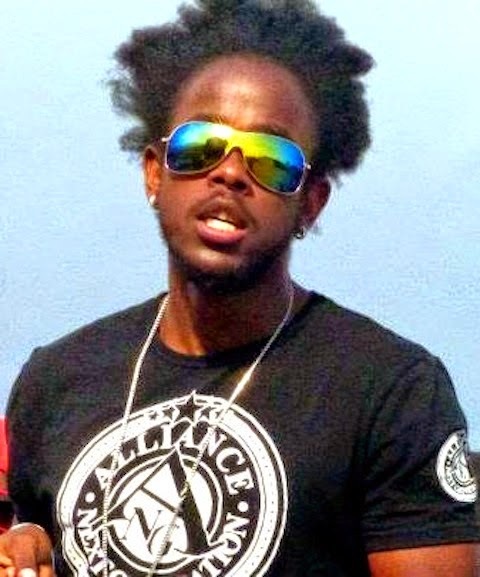 It is going to me my first time in Africa and I want to leave a lasting impression.” Meanwhile, as he continues to solidify his space in the competitive dancehall arena, Kalado recently showcased his talents in Costa Rica, at not one, but two shows. He performed to capacity audiences in Limon at Club SK and in Puntarenas Club Mystikal, cutting across language barriers and ensuring that the Spanish-speaking Costa Ricans got their money’s worth and then some. Among the popular songs for Kalado were “Make Me Feel”, ‘Body Nuh Dead”, "Turn it da way ya", "Pree Money" ,"Gyal", “Good Good Bring Life” and “Personally”. “I was quite surprised to see everybody singing my songs, when most of the patrons only spoke Spanish. They made me feel right at home. I cannot wait to go back to Costa Rica. Yo regresare!” he said in his best Spanish accent.